Euro 2004 Photos – . : MaGiCLaND : . 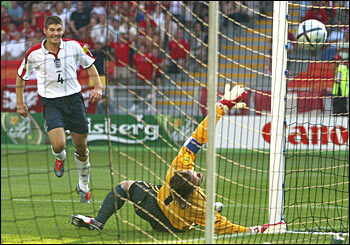 Steven Gerrard adds the finishing touch to England’s victory.